Have you checked out the latest over at Authors are ROCKSTARS!, the podcast I co-host with Michelle of Never Gonna Grow Up Reviews? 2012 is off to an awesome start. We kicked off January by featuring interviews with Shatter Me author Tahereh Mafi, Nightshade series author Andrea Cremer, and Gene Yang, author of the new Avatar: The Last Airbender graphic novel, The Promise. Next month is going to be amazing, too! Michelle and I are super excited about a couple of upcoming events for Southern California book lovers. We'll be covering the first-ever Passion & Prose conference with a special Road Trip edition of the podcast. And you should join us there! Presented by Mysterious Galaxy Bookstore, together with Adventures by the Book, the conference takes place Saturday, February 25, 2012, from 9:00am to 3:30pm at the Westin Long Beach, 333 East Ocean Blvd, Long Beach, CA 90802. Attendance is limited to the first 450 readers who register. Passion & Prose is a ticketed event that includes speed dating (an interactive author activity) and lunch with one author at each table. The day also features a Young Adult author panel, three keynote speakers, multiple book buying and signing opportunities, free goodie bags to all participants, and an opportunity drawing to benefit WriteGirl, a non-profit organization that promotes creativity and self-expression through writing to empower girls. Does that sound amazing, or what? 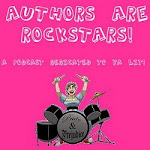 Michelle and I are pleased to offer something special for Authors are ROCKSTARS! listeners. We are giving away one FREE PASS to Passion & Prose! That's a $125 value and an awesome experience you'll never forget. So if you're in the Southern California area, make sure you head over to our blog for your chance to win. And even if you don't win the free pass, we still have something for you-- when you register for Passion & Prose, simply enter referral code ROCKSTAR at checkout to receive $25 off the price of admission! Also, from January 1-February 14, Passion & Prose is offering a special discounted Mother-Daughter registration promotion ($200 per couple). Edit 2/9/12: Due to changes to the Passion & Prose event structure, they are no longer able to offer any discounts on admission. 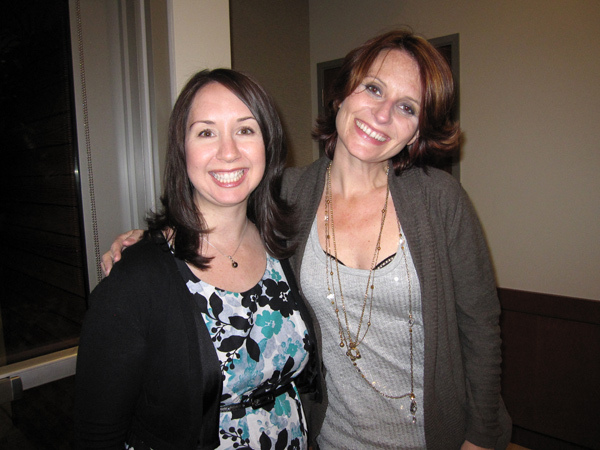 Princess Diaries author Meg Cabot is one of the keynote speakers, and you definitely don't want to miss her-- I helped host a library visit with her a couple years ago, and she's just as fabulous and funny as you would imagine. Love her! 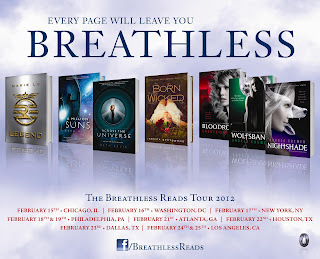 The YA panel at Passion & Prose will feature Andrea Cremer, Sarah Wilson Etienne, Marie Lu, Beth Revis, and Jessica Spotswood, and is sponsored by Penguin Young Adult as part of the Breathless Reads tour. We hope to see you in Montrose or Long Beach next month! As always, if you have questions for any of these fabulous authors, comment here or on the Authors are ROCKSTARS! blog, and we'll be happy to ask on your behalf. Youth services librarian in Southern California. © 2012 Reading Everywhere. Header design by Elle Cardenas. Powered by Blogger.